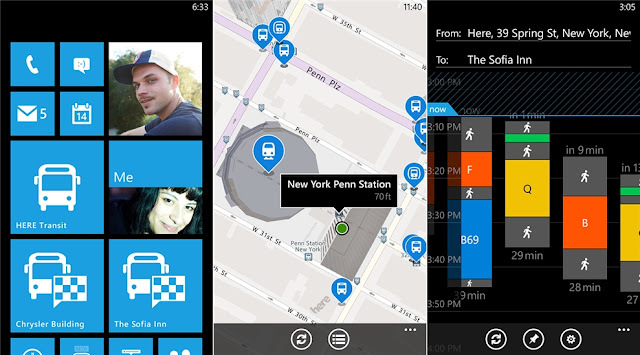 An updated flavor of the HERE Transit application is now available for download for the owners of Nokia Lumia devices, namely version 3.5.1045, with various enhancements packed inside. The new app release brings a series of bug fixes, while also being capable of enabling users to easily switch from HERE Maps to HERE Transit within the Journey Planner. HERE Transit also offers support for favorites in HERE Maps and Drive, and shows nearby stations and stops on a map. “HERE Transit is available in over 670 cities and 50 countries around the world so there is no need to download separate apps for each city. Check if your city is covered here: www.nokia.com/transport-coverage,” Nokia also notes. HERE Transit for Lumia devices can be found in the Windows Phone Store via this link (though downloadable only directly on handsets).